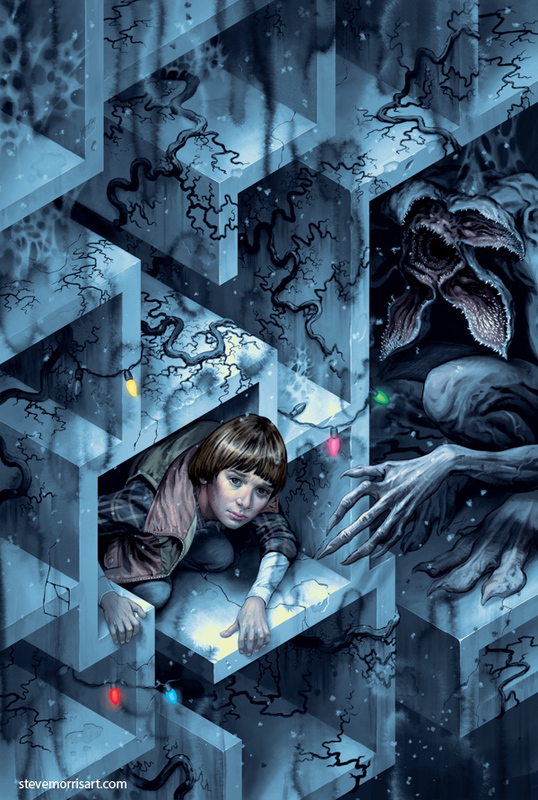 My variant comic cover for issue 2 of Dark Horse’s Stranger Things comic book. Out on Oct 31. My variant cover for Mighty Morphin Power Rangers #13. This is the first of several connecting covers I’m doing for the series. The devil and cowboy are from the CD art, with some very minor edits and the additional background added. I find myself making the backgrounds on this sub-series lighter than "Butterbroda" proper...not sure why that is, but I'm sticking to it. A friend of mine contacted me today and let me know that he saw some of my prints in a video at Lynda.com. The video is of the talented creative team Mexopolis (Jorge Gutierrez and Sandra Equihua) who create the cartoon series El Tigre. The prints only appear on screen briefly, it took me a few views of the video to catch them. I think that clip of the video may have have been shot in the Subtext gallery in San Diego. You can view the full video here if you didn't click on the "video" link above. For anyone interested in wild west centric comics or really beautiful art, check out The Bouncer by Alexandro Jodorowsky and Francois Boucq. The graphic novel series is comprised of two large format books centered around betrayals, murder and greed. I originally picked them up years ago because I was really taken in by Francois Boucq's sweeping illustrations. I don't think I've ever seen an artist with such a cinematic feel to their work. Not only are his landscape expansive, but even his indoor scenes can take on a larger-than-life dimension, while making the reader feel as though they are right in the middle of the action. The story itself will keep you engaged and its often brutal vision of life in the Old West will certainly make you think twice about longing for those simpler days. For anyone who has a stack of comics gathering dust, you might consider donating them to Operation Comix Relief , which is an organization that sends comics to soldiers overseas. Over the last two years I've packed up three or four boxes and sent them off, and I'm currently packing another. They have a drop off in Framingham, MA, but if you aren't near there, you'll need to mail your comics to them...I think the cheapest way is still USPS. I've finally finished the redesign on my portfolio website, take a look here» . So far, all the scripts I used seem to be holding together nicely in current browsers and platforms. 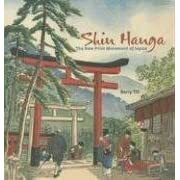 I recently bought "Shin Hanga - The New Print Movement in Japan" which visually details a movement in Japan, during the first half of the 20th century, to recapture traditional Japanese art and printmaking. It's really a great little book with a selection of over 100 color prints from artist such as Kawase Hasui and Yoshida Hiroshi. The text is minimal, but I mainly buy art books for the pictures and the book's relatively small size will make it an easy fit on most well stuffed bookshelves.